The weight loss app Noom aims to disrupt the health and wellness sector by changing users' behavior as it relates to nutrition, eating habits, and exercise. 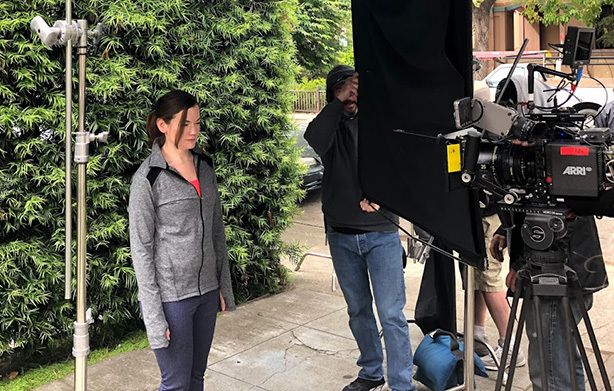 One week before weight loss app Noom was scheduled to shoot its first national TV ad, the company’s COO and CFO Adam Fawer realized the paid actors starring in the spot weren’t the right fit. "For many people, weight is not a problem they have this month — it is a 10, 20, or 30-year battle they have been waging," says Fawer. "We wanted people who looked like they struggled with weight loss and the actors the casting agent sent didn’t look like that." Noom — which bills itself as a personalized program that uses psychology and small goals to change people’s habits so they can lose weight and keep it off for good — quickly reached out to its users via email asking them to send a one-minute video by midnight explaining what the app means to them. Fawer couldn’t disclose how many users Noom has, but notes over 47 million people worldwide have used the app. "We were worried we wouldn’t have enough time to get people to commit to fly out to San Francisco on the drop of a dime," he says. But by the next evening, Noom received over 200 video submissions. "It was an embarrassment of riches," notes Fawer. "Real people with a lot of heart who wanted to tell their story and had a history of weight loss problems or had been on 100 diets." In the end, the company chose three women, all Noom users, to tell their story in the ad that launched in June. Although Noom is 9 years old, it started off as a fitness tracking app and only evolved into its latest iteration as a weight loss app in 2016. Since then, its PR and advertising efforts have been online-focused, targeting women aged 25 to 55. Macias PR is Noom’s PR partner. "We understand through two years of iteration how to talk to customers, what messages resonate with them, what to emphasize, and what not to emphasize about the program," explains Fawer. "We felt confident enough to go into TV." Noom decided to branch out into TV to build name recognition. Fawer notes a TV ad can make a company seem more "legit" because people understand a well-produced TV ad is costly. Although Noom is the health and wellness industry’s new kid on the block, the app is going straight after one of the sector’s leaders by labeling itself a "Weight Watchers disrupter." Genia, one of the Noom users featured in the company’s new spot, takes an indirect dig at Weight Watchers. "I counted the points, I followed the rules, and it didn’t help me long term," she says of other dieting programs she has used. Although Genia doesn’t specifically name Weight Watchers, astute consumers can make the link to the dieting giant known for translating calories, saturated fat, sugar, and proteins into a "points" system that encourages users to create a calorie deficit. Noom must watch how it talks about Weight Watchers, because the company is "litigious," explains Fawer. However, it hasn’t shied away from dissing its competitor as part of a social campaign it began last year, with the text: "You aren’t still on MySpace, so why are you doing Weight Watchers?" These words were used in a Noom tweet last September, garnering 250 retweets, 200 comments, and 1,300 likes. "Weight Watchers wasn’t crazy about that ad," notes Fawer. "They asked us to take it down but we checked with our lawyer who said it is fine." Calling out a competitor as a tactic has received some backlash from Weight Watchers users. "Weight Watchers has its fans — it is a multi-million-dollar company," he says. "But we continue to use the ad because it resonates with people who are like, ‘Why am I still using this thing that has been around since 1963 and hasn’t changed much since then?’"
"Almost all of our users have used Weight Watchers and even though it might have worked for them in the short term, it didn’t long term." While many industries have been disrupted through technology, the weight loss industry hasn’t, says Fawer. "We want people to know we are a new, modern, convenient, different way to lose weight," he adds. The major differentiator for Noom is it doesn’t just help users lose weight, but also changes their behavior as it relates to nutrition, eating habits, and exercise. The app costs $129 for a four-month program that includes human coaches who virtually keep track of users’ habits and give them advice. Because the program is entirely virtual, Fawer says users’ support groups can be with them at all times. "People don’t want to go to meetings where everyone there looks like their grandmother," he explains. "They have busy lives and it is hard to make a commitment to go to a physical space at the same time in a different location once a week." Noom has a "strong community" and puts groups of like-people together on the app so they can discuss their struggles. "Weight loss is something that is hard and painful and not something you want to talk about with your skinny best friend," says Fawer. "We put our effort into making small communities really powerful and supportive." Noom is active on Facebook, Instagram, Pinterest, and Twitter, but prefers to engage with users through support groups within the paid app’s "private, walled-in environment," rather than asking them to publicly post on Facebook about dieting issues "for all the world to see," Fawer explains. Noom also communicates with consumers via its blog and offers bloggers free trials of the app so they can review it. Additionally, the company reaches out to journalists to spread news about its product. "We also have a dozen papers in peer review journals demonstrating our effectiveness at helping people lose weight and keep it off," notes Fawer. Noom plans to do additional national commercials, possibly featuring the stories of other users. "Our first spot moved real users of Noom because we wanted to get the emotion across," Fawer says. "People believe people. The next question they have is: What is it? How does it work?" Noom is planning "aggressive campaigns" starting December 26 and will be on TV a lot in the new year, he says. However, between Thanksgiving and Christmas, the company is "pulling back" from a marketing standpoint for "tactical and psychological" reasons. "Ad rates are very high and a lot of people don’t want to try to start losing weight during that time period, others might want to try but they don’t have the time, and some people wait until January [to start a diet]," Fawer notes. Was Weight Watchers' rebrand to WW a smart move?